Several of Rainbow Six Siege’s have ‘global’ abilities – the ones that have impacts across the full map in play. There’s Lion’s EE-one-D, which is a map-wide motion detector; and Dokkaebi’s Logic Bomb, which sets off all defenders’ cell phones, revealing their positions. Ubisoft says that while the game’s global abilities have been occasionally criticised, the Rainbow Six team is open to creating new operators who use them. “I can’t say that global abilities had a good reaction,” Siege game designer Leroy Athanassoff admitted during the Six Majors in Paris. 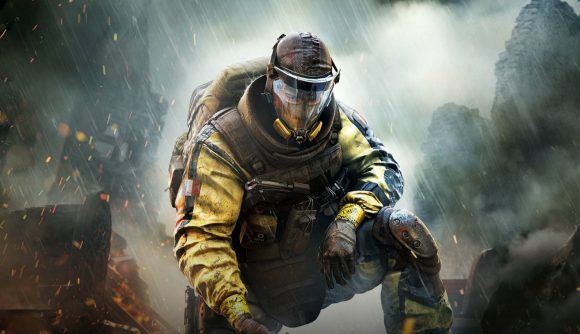 Players have argued that the global abilities can remove a certain element of risk that, to them, makes Siege the game that it is. Athanassoff said the Siege development team is aware of the negative reactions, and that they’re considering them as they move forward with design concepts. Operation Chimera, he said, provided a lot of valuable information on how global abilities could be used in the future. “We learnt a lot with Chimera in terms of how we should implement globals in the future,” Athanassoff said. If that seems to mean that globals will be showing up with future operators, well, it does. Rainbow Six Siege’s newest update, Operation Grim Sky, launches September 4. You’ll be able to play the reworked Hereford map on the test server starting Monday, August 20.